Flying in formation means putting absolute trust in your leader. 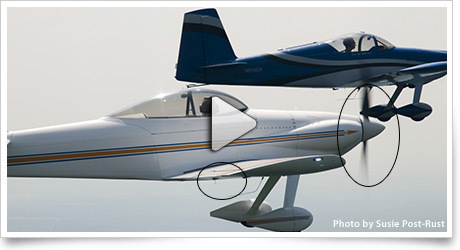 AOPA Live visits a civilian formation flying school to see how it's done. 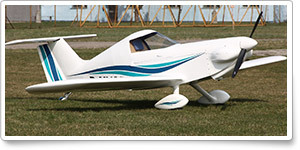 Icon Aircraft gives the FAA a deadline regarding its A5 amphibious light sport aircraft. And find out from Dr. Jonathan Sackier about some of the stupid things pilots do to sabotage their medical certificates in a Fly Well report. 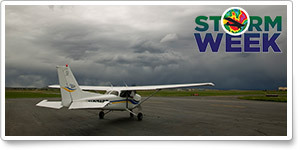 AOPA Live This Week, May 30. Leading Edge: End of a runway? Build houses! Ever dream of turning your passion for aviation into a career? We're looking for a director of corporate partnerships, marketing specialist, member services representative, human resources assistant, software test and quality assurance analyst, and AOPA Live editor/graphic artist. To learn more about other AOPA career opportunities, visit AOPA Online. 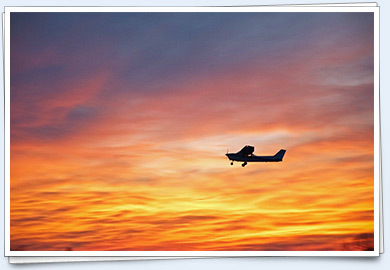 AOPA's online photo gallery allows you to upload your own aviation photography as well as view, rate, and comment on others' photos. Your favorite aviation images from AOPA Pilot are still available online through this new gallery. Take a look, and submit your own photos!! Check out user-submitted events from your region. 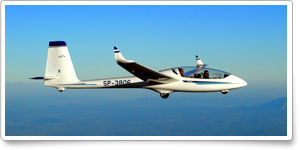 To search all events in the calendar, visit AOPA Online. AOPA does not endorse the events listed below, nor have ePilot editors edited the submissions. AOPA assumes no responsibility for events listed. Here's an edited question asked by an AOPA member who contacted our aviation services staff through the AOPA Pilot Information Center. Test your knowledge. Question: I was flying in Class E airspace and receiving radar service from air traffic control. The controller then instructed me to change my heading. The new heading was going to take me off of my intended course and I was in airspace that did not require me to be in contact with ATC. Did I need to comply with their instructions? Answer: Yes. According to 14 CFR Part 91.123, pilots may not operate an aircraft contrary to ATC instructions in an area in which air traffic control is exercised. Pilots are not required to communicate with ATC in Class E airspace, but if a pilot chooses to be in contact with ATC, then the pilot must comply with the instructions that are given. A recent interpretation from the FAA Office of the Chief Counsel has brought clarity to this situation. As always, the pilot in command is the final authority as to the operation of the aircraft.